Are you a mum-to-be? 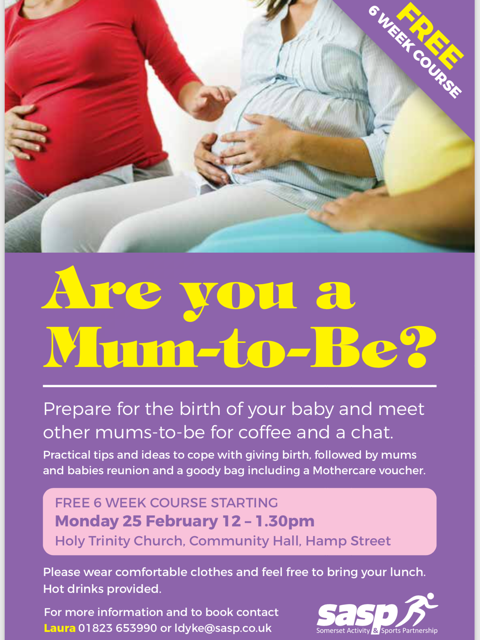 Prepare for the birth of your baby and meet other mums-to-be for coffee and a chat. The project will offer a 6 week antenatal weekly session where they ladies will get practical tips and ideas to help them prepare for birth of their baby, such as pregnancy Yoga, stretching and breathing followed by an informal chat around topics including physiology of birth, meeting baby and infant feeding over coffee. Following this there will be a mums and babies reunion and weekly get togethers centred around offering the ladies a support group that they feel comfortable and at ease to be at, while also getting them active with activities including buggy walks, baby Yoga, pelvic floor exercise. Those ladies that commit to the project will receive a mothercare voucher and goodie bag to help them keep active at home.